Enamel Pins - Spun Fibre Arts, a local and online yarn store specializing in natural fibres. Chopsticks: Knitting noodles enamel pin. 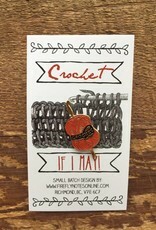 Designed by Firefly Notes, this whimsical pin shows your love of knitting with flair. Knitting: the classic needles and ball of yarn in an enamel pin that works on anything. 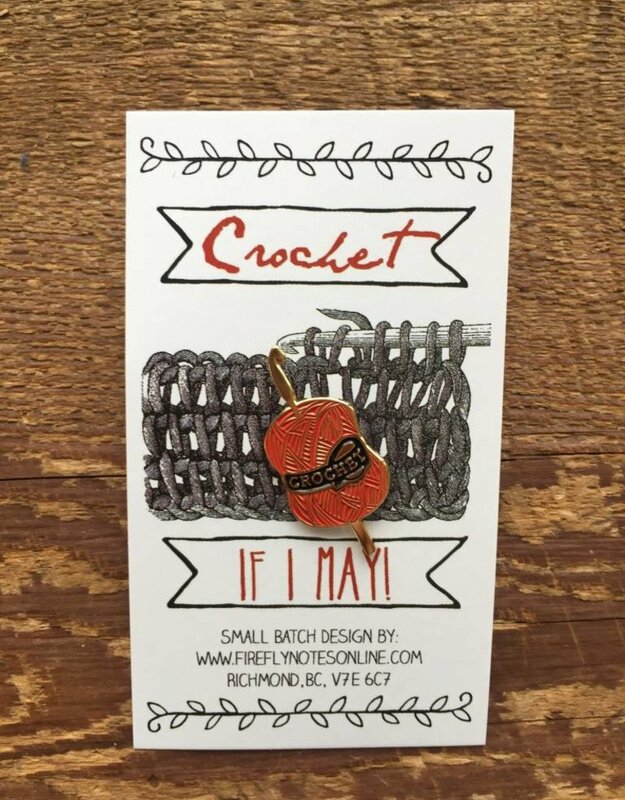 Crochet: show off your love of crochet with this fun enamel pin.